News from July, 2010 on Madison - St. Clair Record. 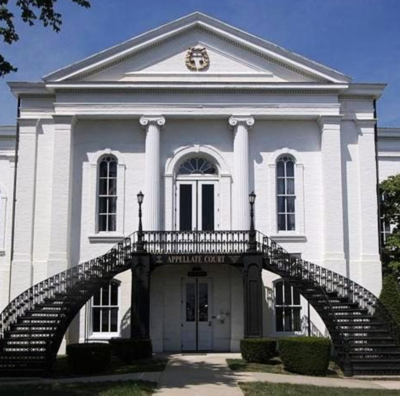 Maag Madison County Circuit Judge Dennis Ruth will take up pending motions on July 9 in a series of suits filed against Saline Township and a former official over alleged sexual misconduct. Reeg A hearing over dueling motions to compel in one of a series of Madison County alleged water contamination class actions is off. A Belleville resident struck the final car in a funeral procession, according to a recently filed lawsuit. A woman has filed suit against the driver who she says crossed the center of the road and struck her vehicle. Two Highland residents have filed suit against a Mascoutah law firm and one of its attorneys, claiming the attorney failed to track expiration dates of continuation statements. An Olney man claims the job requirements of his former employer were so strenuous that he developed problems in his neck, spine and upper and lower extremities. The Madison and St. Clair County courthouses and county government offices will be closed Monday, July 5 in honor of Independence Day. A woman claims a driver struck the rear of her vehicle as she drove on the interstate. A Fairview Heights man has filed suit against the driver who he claims caused a collision while he was riding with the driver. A Caseyville woman claims she sustained injuries to her knees after her neighbors' dog bit and attacked her. The parents of a deceased infant blame the owner of their home for allowing carbon dioxide and other toxic fumes to seep into their rental property, resulting in their child's death. A woman and her husband claim a driver failed to stop before striking their vehicle and causing the woman to sustain injuries. A railroad company is asking that a suit over a man's injuries be moved out of Edwardsville and sent to Macoupin County. Wexstten MOUNT VERNON - Eight years after physician Christina Midkiff left Maryville Women's Center, she still doesn't know where the law will allow her to practice. Crowder Madison County's already swelled asbestos docket has packed on more cases at this year's mid point than it had at the same time last year. While Madison County has seen an uptick in asbestos lawsuits filed at the Edwardsville courthouse, medical malpractice lawsuit filings are down and class action cases are holding firm. MOUNT VERNON – Madison County judges kept a car crash lawsuit for 10 years when it always belonged in Missouri, according to Fifth District appeals judges. Matoesian The parties in a suit over a botched paternity test that allegedly kept a man from his child for more than a decade have agreed to mediation. MOUNT VERNON – Robert Higgins avoided a lawsuit so flagrantly for so long that indignant Fifth District appeals judges called him contumacious. We're mad because we didn't get audited! People buy insurance as protection against something that's not likely to happen.